UPDATE: Check out my updated list for 2011 here! For 2 bucks per piece and the size of those macaron shells, I can safely say that these are the most value for money macarons you can get in Singapore. 2. They use good chocolate. If my tastebuds were not mistaken, bittersweet valrhona dark chocolate was used for the ganache. Needless to say, all my favourites were those with chocolate as their ganache. 3. Their box is super cute and girly 😀 I’m one of those who keeps her macaron boxes and paper bags as long as they are embossed with the brand names! 4. There are so many flavours and colors to choose from. I simply adore the variety of eye-poppingly colorful macs, one of the main reasons why macarons are my favourite dessert. 1. While the macaron shells scored well in volume, the ground almonds used still need to go into the food processor for a few more rounds to get a less grainy texture. Because of this slight lack of detail, throat irritation developed more easily for me. 2. Those with buttercream fillings did not fare so well with me. They lacked the intense flavours that they promised to have ( eg. the lemon raspberry below) and tasted unrefined for a lack of a better word. 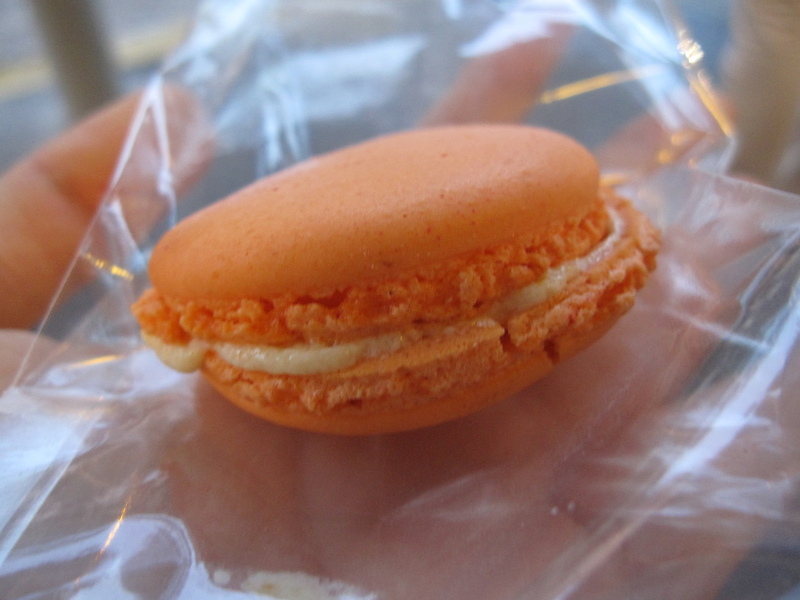 I suspect that ET Artisan does not age their macarons at all but sells them fresh. However, macarons always always taste better when they are aged as this allows the flavours in the buttercream/ganache used to fuse into the macaron shells. But of course if it’s a jam filling never ever let it age even for a day because the higher water content in the filling makes it soggy and gross. My advice is to really stick to the chocolate flavours, and let it rest for 1 day in your fridge. Of course, remember to let the macaron thaw before consumption. As with chocolates, I love savouring macs with plain iced water to fully experience the sugar rush! A good cup of tea works great as well if you have a low sugar tolerance. 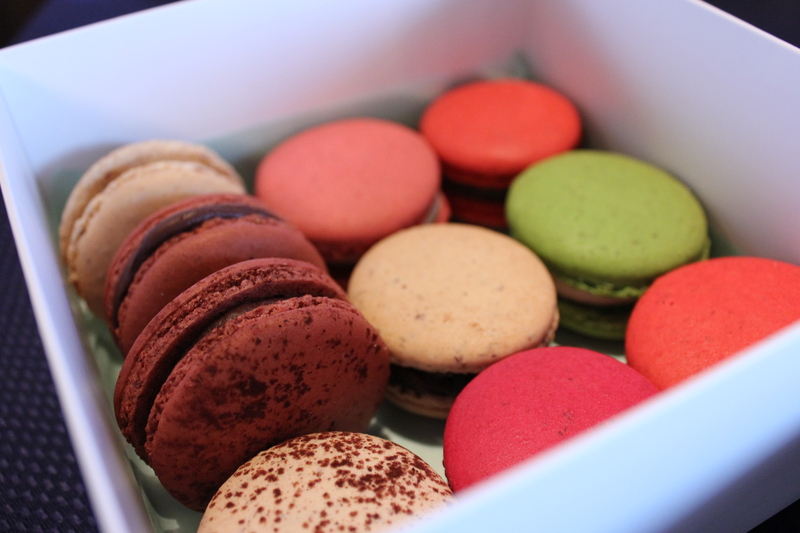 Canele’s macarons are probably second best in Singapore to me. 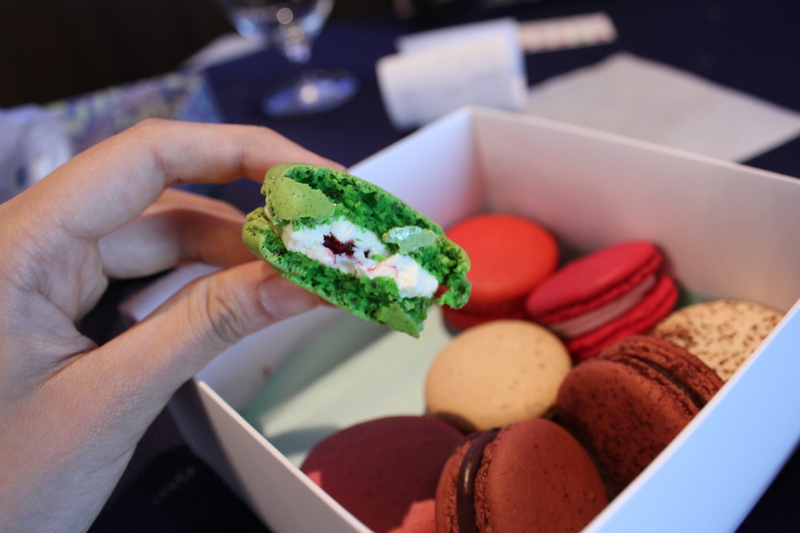 They fulfill the general requirements of macarons, crisp shells that break to reveal a cakey and chewy interior. What shines is the richness of the flavours that they promise to deliver. Personal favourites include rose, feullitine (the chocolate one with crunchy feullitine pieces inside that gave a nice juxtaposition of textures) and bergamote. 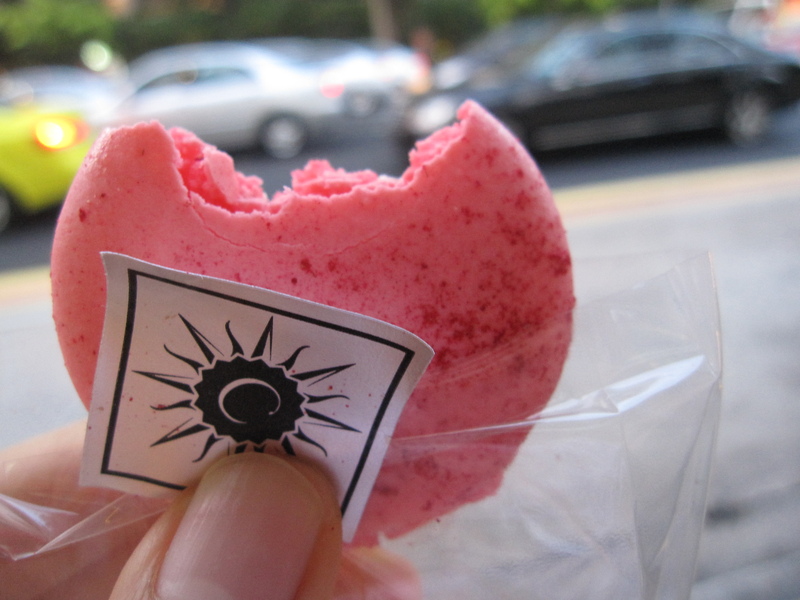 But there’s one serious issue with canele’s macarons: they are far far too sweet. Sugar of course is one of the main ingredients in macaron shells, add too little and the macaron shells won’t rise nicely. However, canele’s macarons are so so sweet that it can be a put off to those who can’t tolerate excessive amounts of sugar. 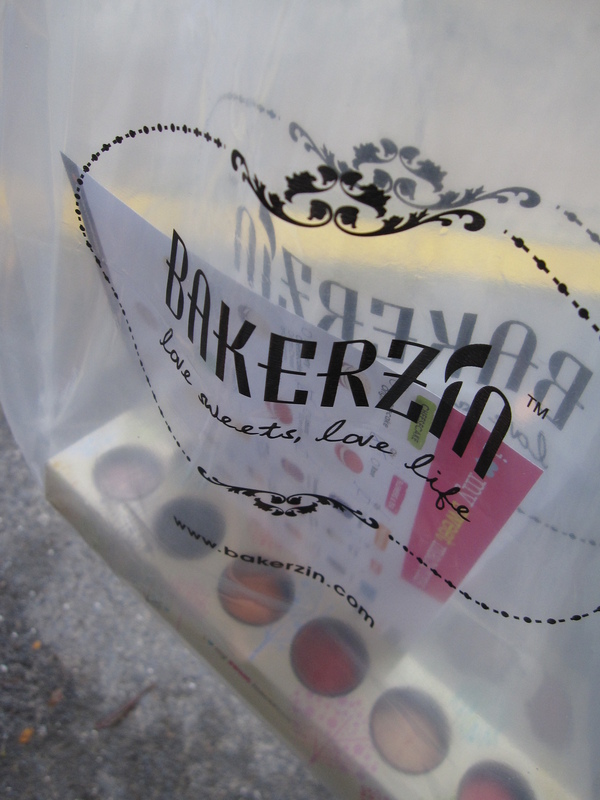 Quite awhile back bakerzin was having some offer. $6 for 6 macarons or something like that. The whimsical packaging and the amazing variety of flavours really attracted me but I’m sad to say that they didn’t even fulfill the basic requirements of a decent macaron. Macaron shells with huge air pockets and lousy shell and filling ratio. It’s a crime I tell you. Maybe quality was compromised because of the cheap price. So far in SG this would be my ‘rankings’ for macarons. 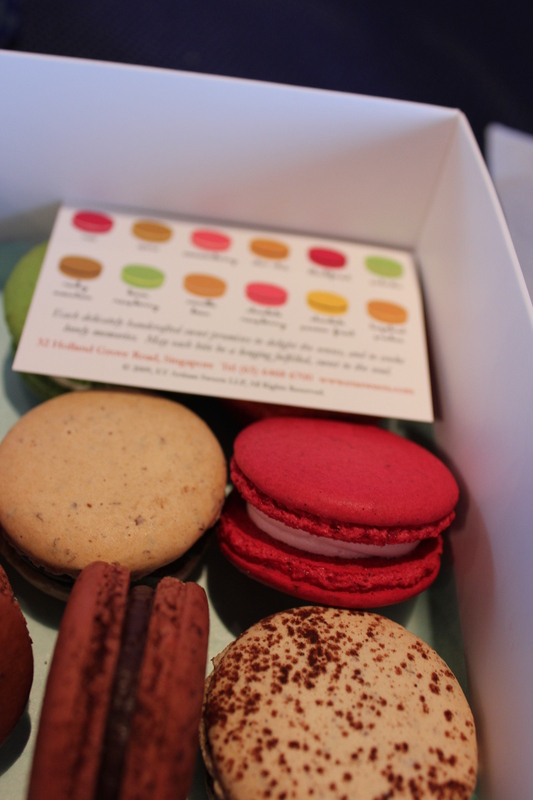 With all due fairness, all the macarons listed above passed the sight test. They looked pretty presentable when I first saw them. Some places did not even pass the first hurdle so I did not even bother trying ( they had cracked shells and dared to even sell them) ! 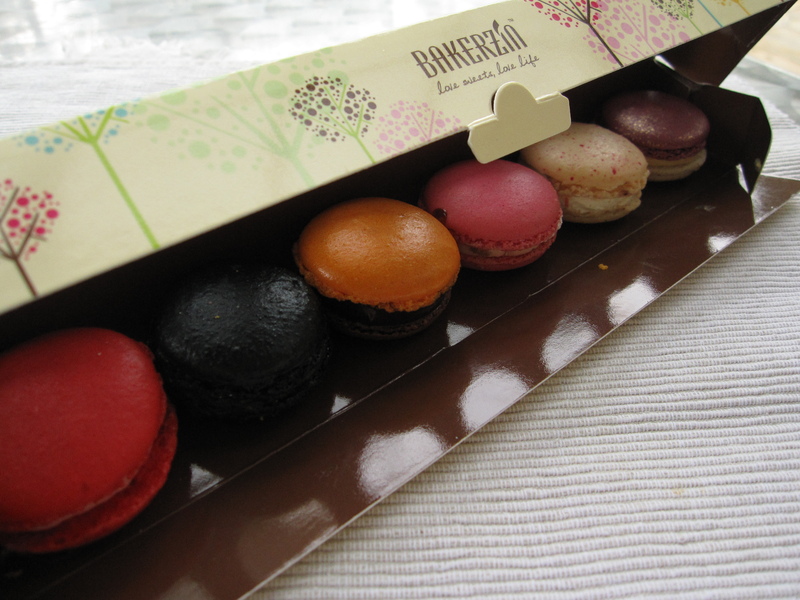 And above are just my personal preferences, I know some people really like bakerzin and hate canele.